Choose from our large range of road legal replacement number plates, show plates, pressed number plates, 3d gel plates fittings, & accessories! rest assured number 1 plates have got you covered for all your number plate needs! Order before 1pm for next day delivery! All our prices are price checked weekly to stay highly competitive and we offer the largest range of postage options to suit your budget and needs. 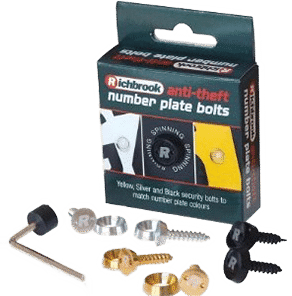 The Uk’s premier independent Replacement Number Plate Supplier. As used by Top Gear, X factor for the judges arrival cars, the BBC and ITV for many productions and films. 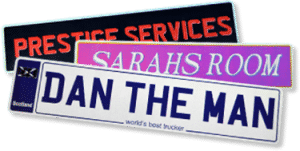 Alternatively if you’re looking for something extra special, you can design your own personalised registration number, Its yours to keep for ever, and we take care of all the paperwork for you! Make your plate stand out with our wide range of accessories/fixing kits. Get in touch with our sales team and we’ll make it happen! Number 1 Plates – Delivering a “first class service” for our customers. We offer a huge range of Number Plates, including Replacement Car and Bike Number plates, Novelty number plates, Aluminium number plates, Pressed number plates, 3d gel & 3d plus number plates we also offer the latest 4d laser cut and laser cut 4d neon plates, and we also do plates for cars, vans, trailers and caravans, Motorhomes, Horse boxes, Bespoke and short number plates, Show plates, Premium acrylic plates, Combine Harvesters, Absolutely anything you name it. Just start building your custom number plate in our fantastic easy to use Number plate maker. We are you’re One stop Number plate shop !!! We are 100% confident that you will be happy with your custom number plates and if not we offer a dedicated Customer Service Support Phone Line Between 9.00am Till 4.00pm Monday To Friday to assist you. Why choose Number 1 Plates?